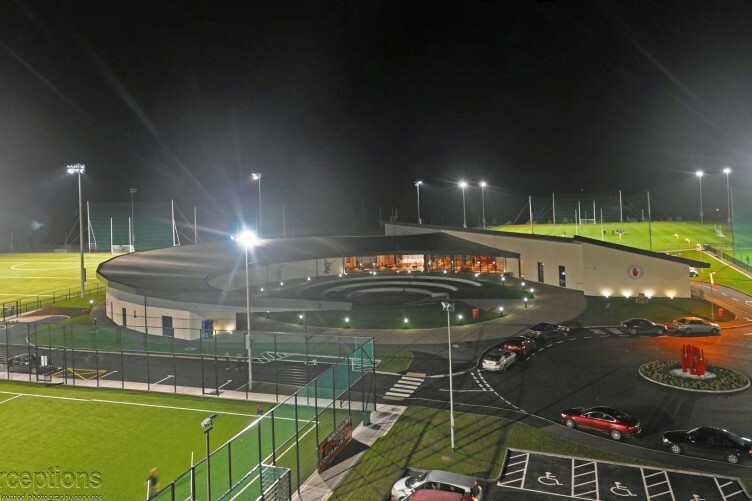 Garvaghey (from the Irish, ‘Garbh Achaidh … The Rough Field’) was visioned, planned and built as a ‘Tyrone Gaelic Bauhaus’, a place to develop and celebrate in joined-up ways the people, games, culture, heritage and environment of Gaelic Tyrone. It’s about using our past and present to create a strong and robust future. It’s a place for building social capital, ‘the glue that holds society together’. Our £7m project spread over 43-acres in the heart of upland rural Tyrone was developed between 2008 and 2013. We began by buying the ground and doing our planning and then moved in sequence through levelling the land, laying our pitches, constructing the building and completing our landscaping. Now we’re making it work to best effect for Tyrone and the people in it.